A Whole Foods supermarket in New York has removed a sign that used a drawing of President Barack Obama to advertise a sale on chicken after complaints that the ad was offensive. 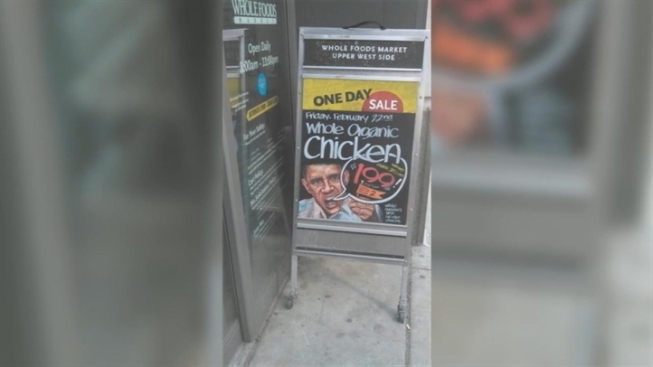 The sign outside the supermarket on Manhattan's Upper West Side, featuring an apparent caricature of Obama advertising an upcoming sale on whole organic chickens, outraged neighbor Woody Henderson. "There are certain things that have been used to put down black people — watermelon, fried chicken," he said. Jason Nunez of the Bronx said, "Even if he's not the president, you're going to have an African-American promoting the sale of chicken? They can do better than that." Residents and passersby agreed the man in the sign looked like Obama, but not all thought it was derogatory. "There was no disrespect meant at all," the spokesman said. 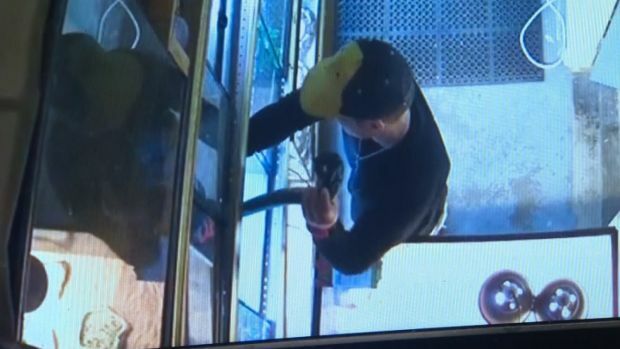 Henderson thinks the chain should take more responsibility. Another neighbor, Jeffrey Schaper, said, "I don't think you can find a more pro-Democratic neighborhood. They're sort of shooting themselves in the foot. It is pretty outrageous." Dramatic Dashcam Video Captures Two-Bus Crash in N.J.